Yesterday the newest little person in my family got her name, Emma Rún. She is the daughter of my cousin Sigurjón and his GF, Elsa. When they were still pregnant, they asked me to knit the little girl a sweater and do a crochet collar to go with it. They sent me a photo of what they were thinking, and I did my best to grant their requests and this is what came of my needles and hook. I really loved making this one. And I love this yarn also and will definitely use it again. 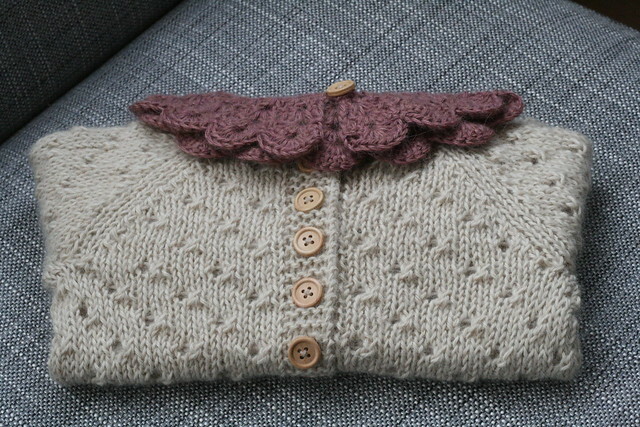 Clue nr.4 of the Romi Hill MKAL came on Friday, and I knitted it up and finished it on Saturday. I am continuing with my gradient plan. Now I have finished 3 different yarns and am up to my last one. First I used Hedgehog Fibers Sock, then Fjara and then Yaku. The last two rows are knitted with Madelinetosh Light and that is my final yarn. I am thinking I will definitely use the turquoise to bind off to tone with the details that came with clue 3. The colour change for the Yaku looks pretty drastic in the photo, it is not this drastic IRL, the colours are just very hard to photograph propperly. I can’t wait to finish this baby and wash and block and take photos of it. 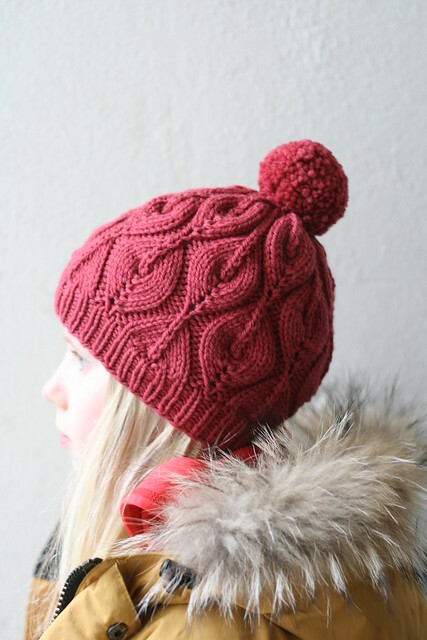 Romi Hill is such an amazing designer, her patterns are incredible and I keep seeing new ones that I want to knit. My inbetween clues projects are a new Lopapeysa for myself (I am working on the yoke now) and a cover for a foot stool that I got from my grandmother that is looking rather shabby. 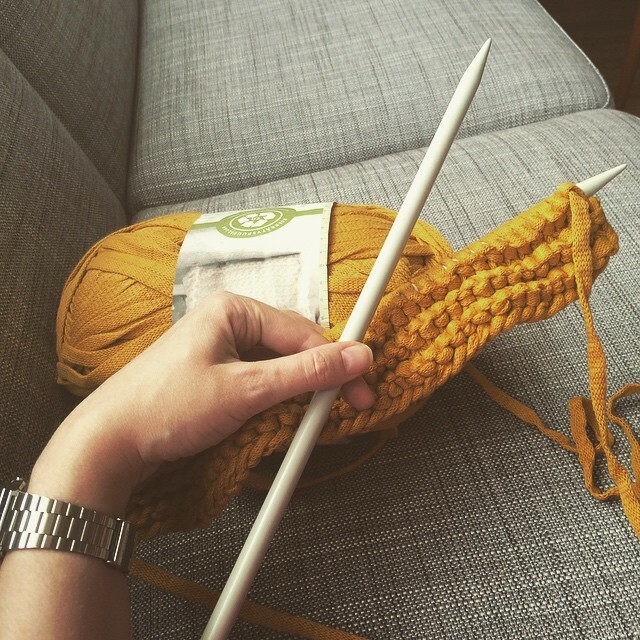 I am going to give it a make over and for the cover I am knitting on 10mm needles with Novita Tuubi in a very pretty retro yellow colour. I will post photos of it when I am finished, hopefully next weekend at the latest. 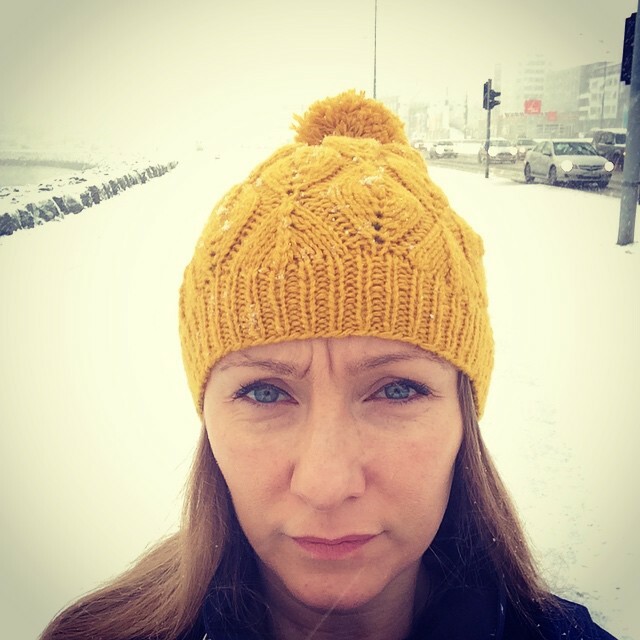 Karítas is now knitting! I am the proudest mom! Karítas’s dad had his birthday in the end of February. 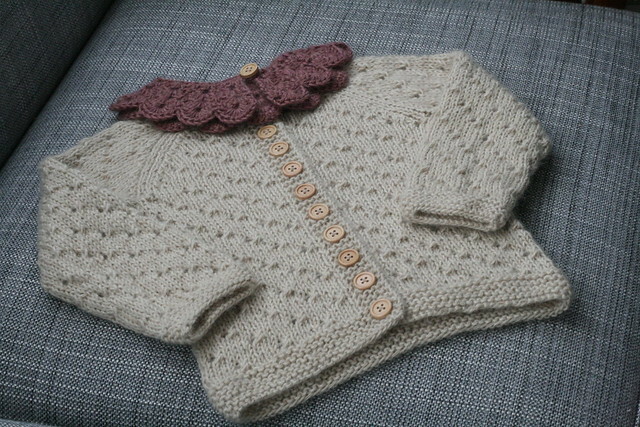 Since I had made a sweater for both his wife and their baby girl, I wanted to make him one also. When I saw the pattern for Drangey by Stephen West, I just knew it was the right sweater for him. 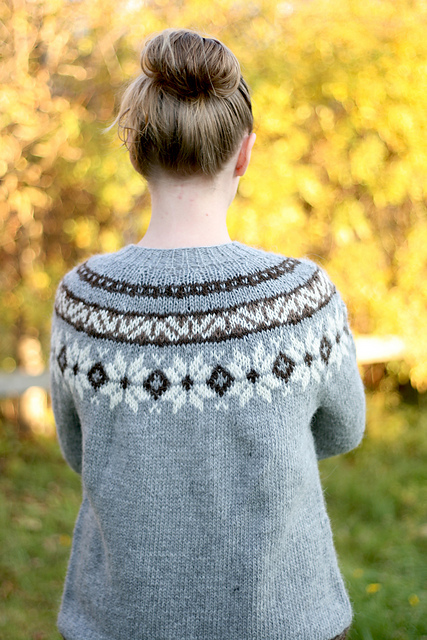 I then picked Snældan for the main colour and used double Yaku for the pattern colour in the yoke. Using two of my favourite yarns at the same time was a joy. They are very different, Snældan is rough wool that softens up when you wash it (it is like magic washing this wool!) 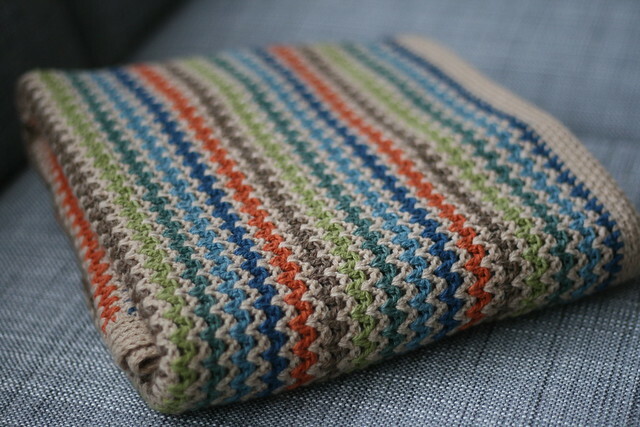 and Yaku is a superwash wool that is perfect for baby items as it is so incredibly soft. Yarn: Snældan (3 theads) and Yaku, held double. Knitted just as written, the pattern is a delight to follow. My friend Sigga had a baby in November, a few weeks before he was due. I made in a blanket that I managed to take photos of the other day when they were visiting. Pattern: From my head. 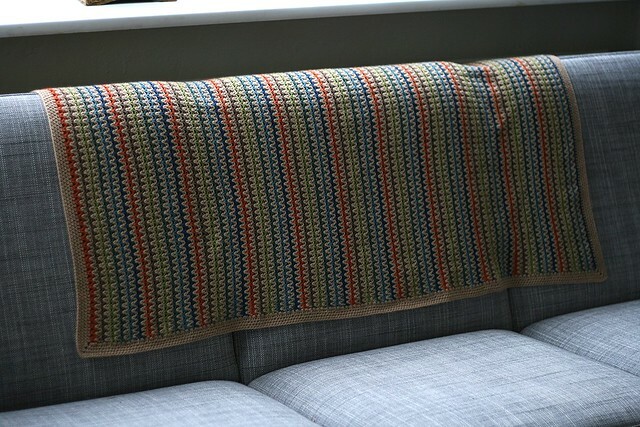 Just a basic v-stitch, changing colour every row. My latest obsession is this book. My MIL gave it to me the other day and I am still speechless! And finally, an update on the Romi MKAL 2015. For clue 3, there was a detail that I first thought I would use the darkest orange for. But I tried it, and it just did not show well at all. So, I decided to add a colour, at least for this particular detail. I hope that I can continue with my gradient plan, but I will have to see how the next clue turns out and if it works out. If it does, I am thinking I might use the turquoise for the bind-off or some extra details here and there. If I have to change colour completely, I do love this colour and would not be horribly upset, that is part of the mystery and the fun! I have some finishes to brag about today. I will just get straight to it. 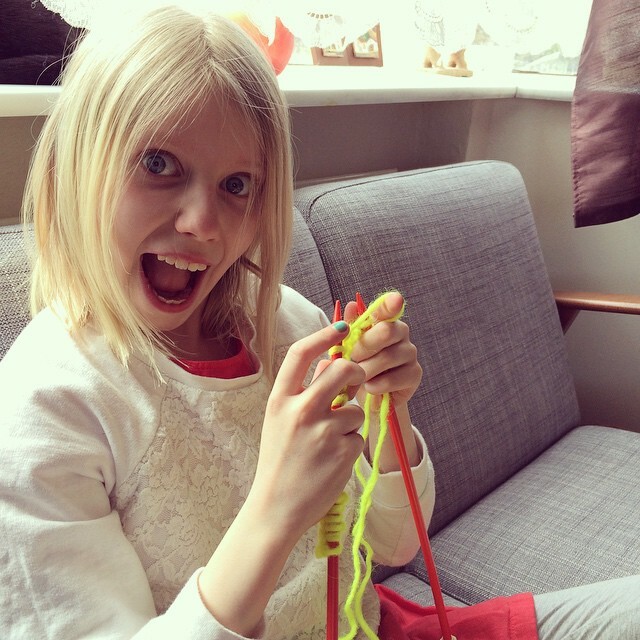 Karítas came home from Czech Republic where she spent Easter with her father and their family. She was there for almost three weeks, and even though I should be used to this by now, this time was hard. I missed her like crazy and even more than usually so it was even sweeter to get her home and get those warm and loving cuddles from her. She loves her new hat and I think it looks great on her. 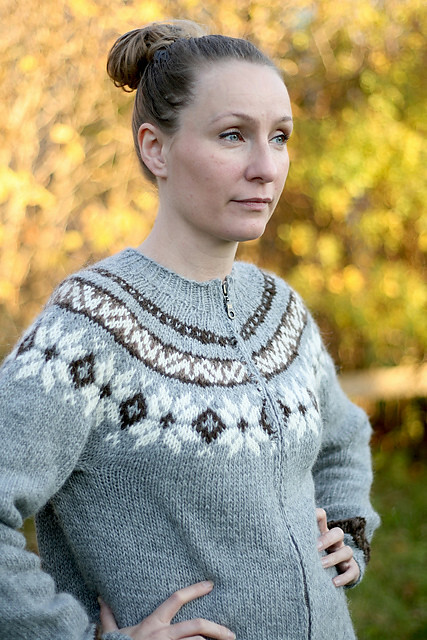 Last year, I was asked by my aunt’s husband to make her an Icelandic sweater – Lopapeysa. They live in California, so we thought that making it a bit lighter would be ideal. He looked at some patterns and designs and ended up picking out this one (Ravelry link) called Gjöf (Gift). 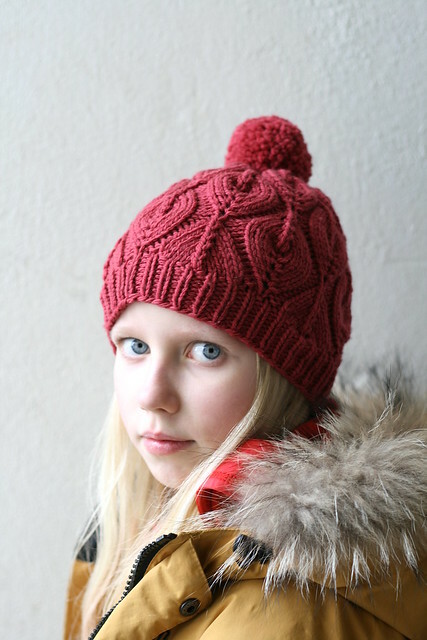 The original is knitted with Álafoss lopi, that is bulky in weight and very think and way to warm for California. The yarn I had in mind is LamaUld and is Aran weight. So. I recalculated the whole thing, did some pretty dramatic changes on the yoke also, and completely switched the colors around. I love the outcome. 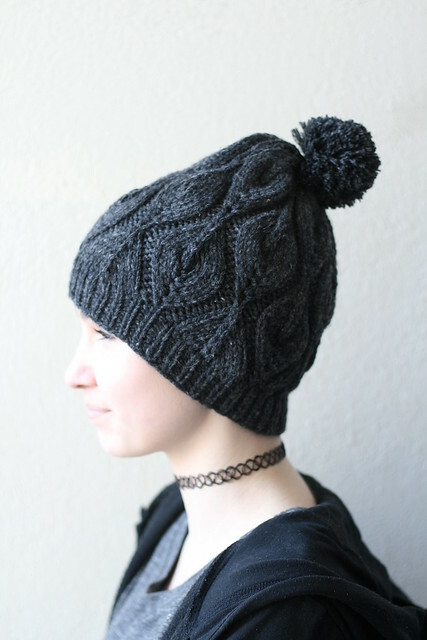 A light and feminine Lopapeysa that goes with basically anything. I am still waiting for photos of my aunt wearing it, but until that happens, here are a couple of shots of me modeling it. And then there is my latest shawl. There is always a shawl, right? I love this one. The design is easy and simple and the outcome stunning. I picked neutral grey tones and made them pop with some red for the wedges. Classic and elegant. 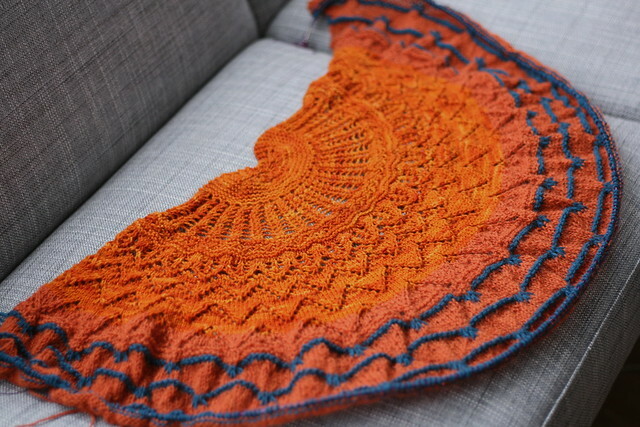 I have already used this shawl a lot and it is fast becoming a favorite of mine. 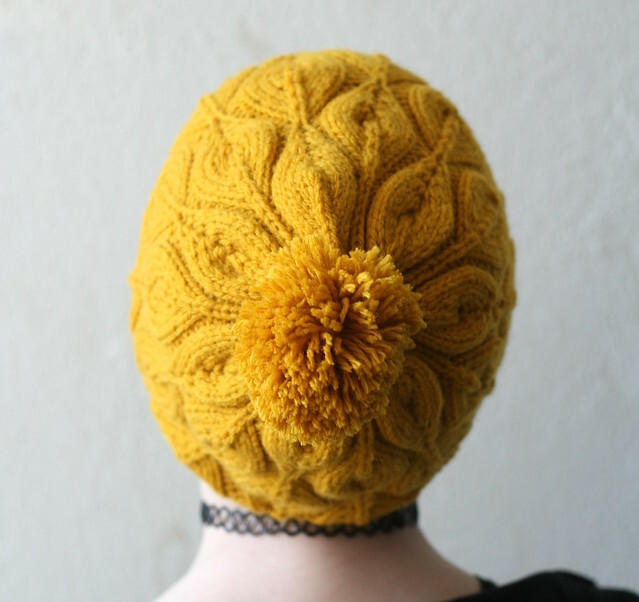 This is the second design that I knit from Melanie and have already purchased a few more that I am excited to get to. 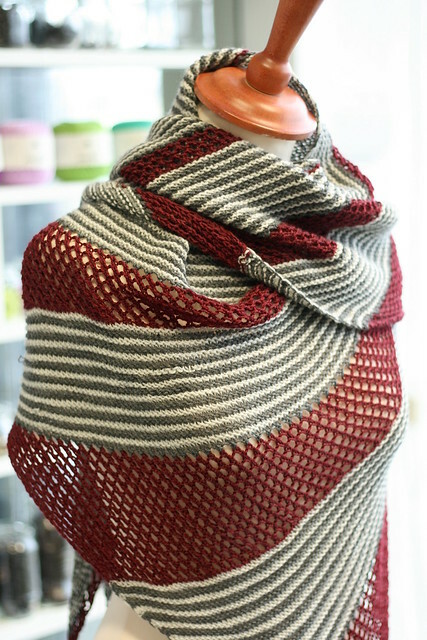 Oh, and then there is Romi Hill’s MKAL 2015. I finished my clue yesterday and finished my first yarn. 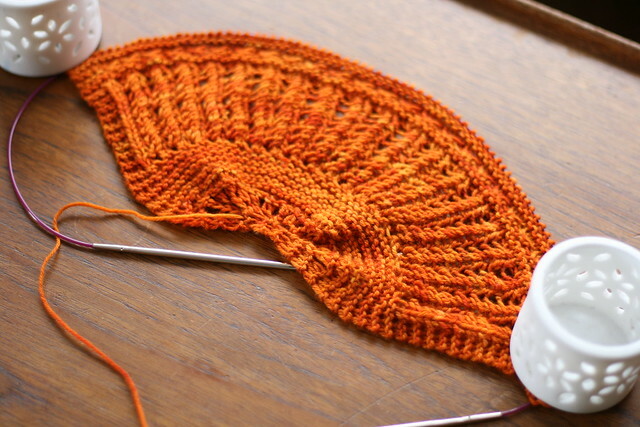 I am using up my orange colored leftover yarn and going for a gradient effect. The first yarn I finished was Hedgehog Fibers Sock in Rusty Nail, leftover from my Exploration Station shawl. 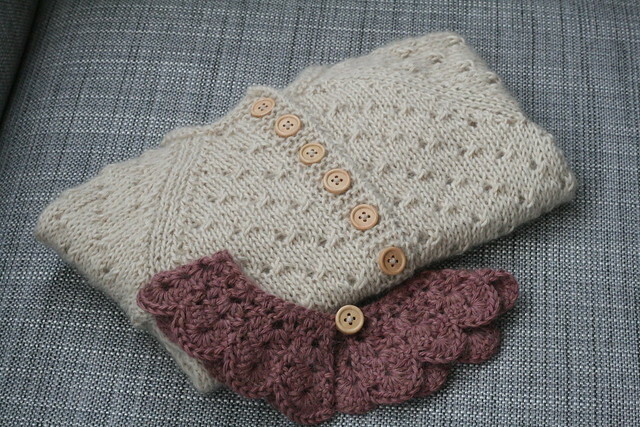 The last three rows are knitted with Fjara from Handprjón, 100% Alpaca from Bolivia. You can’t really see the change yet, but I am super excited with how this is one is turning out. April is so far pretty cold and winter like. I woke up to snow on the ground this morning, but it seems to be melting away as the day goes along. I am craving spring and warmer weather. They are saying that this summer will be just as bad as the summer we had last year. I really do hope that is wrong. I need my yellow friend in the sky to bring me some Vitamin D after this dreadful winter we have had. So the winter themed knitting is still going strong. I have been making shawls and hats recently. I have made the same hat 3 times. The first one was for myself, then Sumarrós wanted one. And then when Karítas saw the one for Sumarrós, she wanted one also. 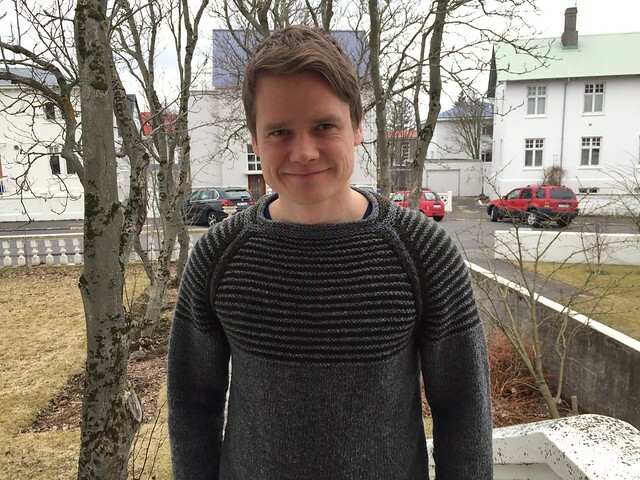 I still haven’t taken a photo of the one I knitted for Karítas, but I will when she gets back from her Easter holiday with her dad and their family. 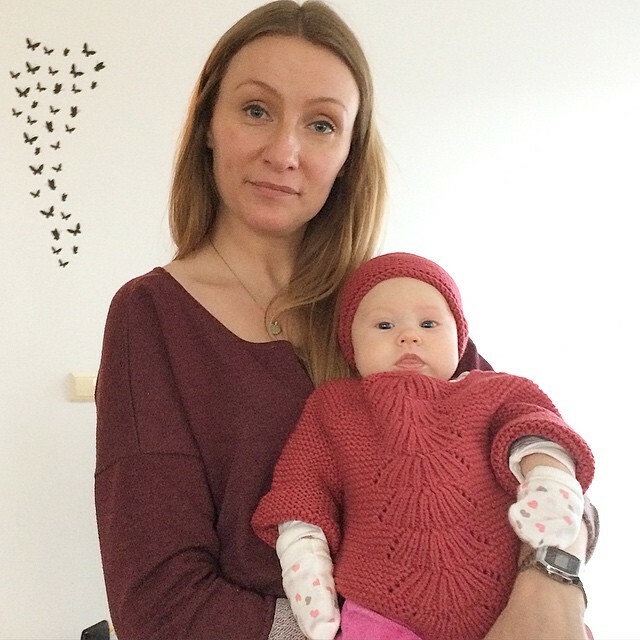 I visited my sister and her daughter the other day and we got a picture of her wearing the Camilla Babe sweater I knitted for her. So adorable! I love seeing my daughters interact with their cousins and siblings. Melts my heart. I decided to participate in Romi Hill’s new Mystery Knit-A-Long. I loved the shawl last year and even ended up making two of them. One for myself and the other one for my MIL. 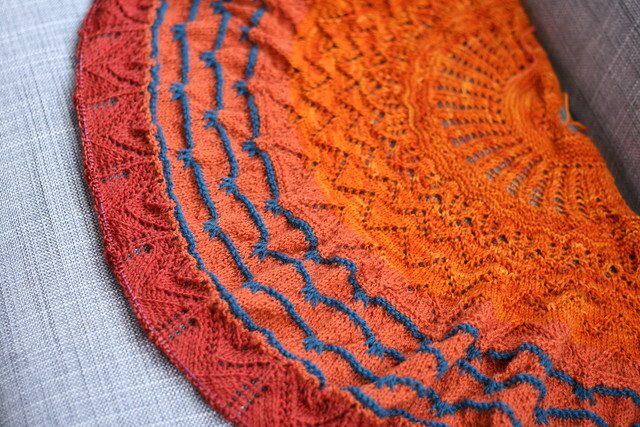 It seems like this years shawl will be different, it starts as a half circular one. 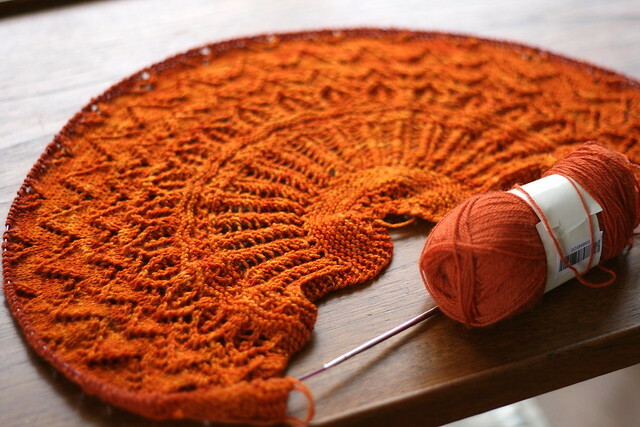 I am excited, I have never done a shawl with that shape before. 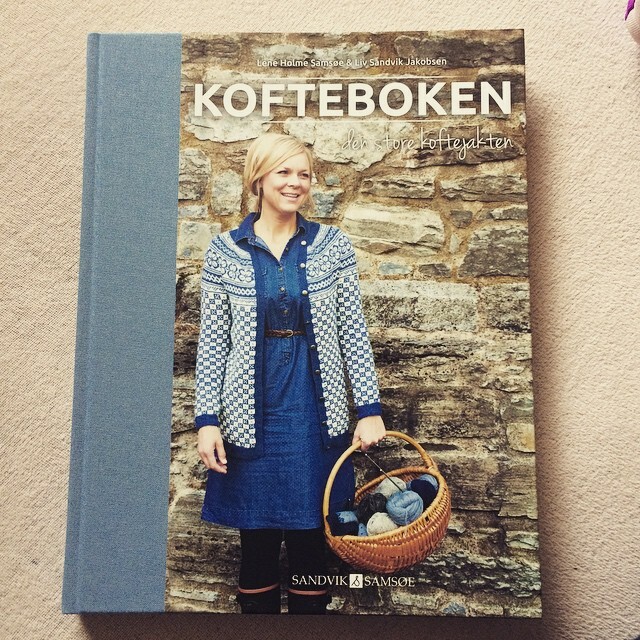 And off course, Romi’s designs are wonderful, her charts are perfect and the end results incredibly beautiful. I decided to use up some stash for this project and found that I do have plenty of orange leftovers in different shades. Mixing and matching gave me a beautiful gradient, using 4 different types of yarns with enough yardage. I am super excited to see how it will turn out. I finished the first clue this weekend. Other yarns that will be used are: Yaku, Fjara and Madelinetosh Light. All are leftovers except for Fjara, that was meant for another project, but I ended up using another color for that in the end, so I still have that pretty burnt orange shade that will come to good use now. Win Win!